Water Transfer Colour Guess Game. 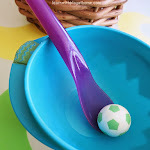 Fine motor skills activity for kids. Back when Maddie (aged 6) was just 3 years old, she was a great fan of transferring water from one vessel to another. Now that Noah is 3, I've been going back through my own blog to see some of the activities she was getting up to at that age. I found our Colour Discovery Water Transfer activity and knew that it'd be right up his alley. This time, to mix it up a little bit, we had a go of this in 3 different ways. From the basic skill of moving water from one container to another, to a couple of different versions of guessing colours and making them appear. Number Chef. Fun, hands-on number learning game for kids. 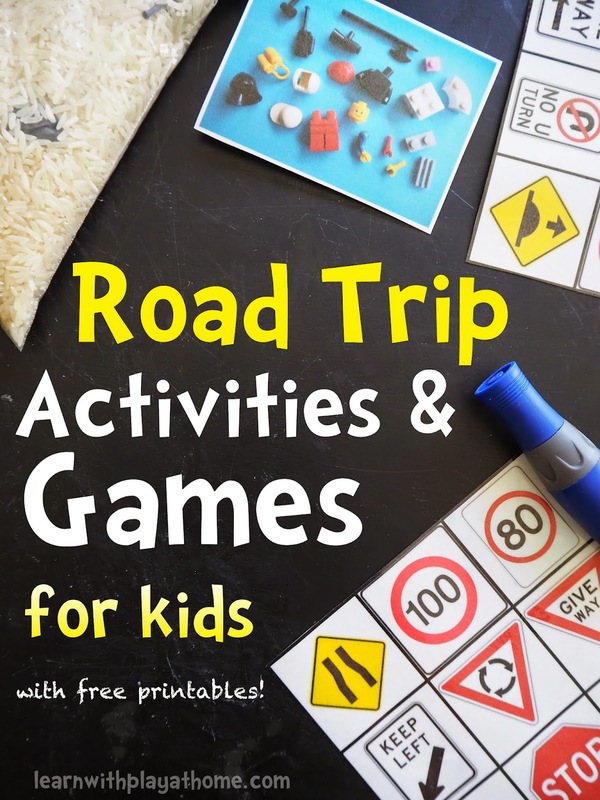 A fun and hands-on game for toddlers through to early school-age children. Practice counting, number recognition, number writing and more. Great for role-play and as a set up for learning centres and play-based curriculum. 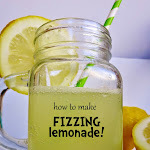 See the bottom for handy tips to simplify or extend to suit your children's level. At age 3, my son does a lot of rote counting (where he can recite numbers in order from memory) but he is still working on the understanding of what numbers actually mean and represent. Properly understanding numbers, from the written symbol to the many different ways it can be represented is more important than rote-counting and takes multiple experiences over time to consolidate the understanding. Don't get me wrong, it's great if your child can count in order from memory, it's all part of the learning, but that doesn't mean that they understand numbers. Understanding that a number (eg. three/3) represents a certain, consistent amount of something is a skill that children work on from early on. They are exposed to this kind of understanding through everyday life, like reading stories, (ie. Goldilocks and the Three Bears), talking about family (ie. 3 people in your family), eating and preparing food (3 spoons of honey, 3 pieces of cheese, 3 triangles of sandwich, etc. ), while out and about, (look, there are 3 ducks! 3 red cars in a row, etc.) and so on. 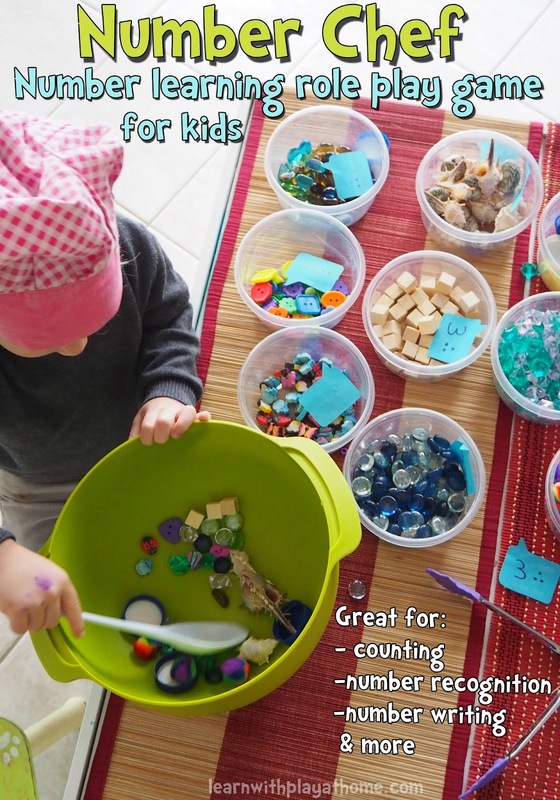 As well as through these natural occurrences, we can set up experiences that allow children to practice working with numbers in fun and hands-on ways. The more children play with and are exposed the numbers, the greater their understanding will be. Having a solid foundational understanding of numbers 0 to 10 and what they represent is very important, as this is what your children will be building all their future mathematical knowledge and understanding upon. 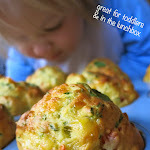 Today's cooking with kids recipe is a fun idea for lunch or even a quick dinner. Children are more likely to eat it when they've been part of the process. This recipe is particularly good when you've got some left over bread rolls that didn't get eaten fresh. Use the basic recipe idea, add in your own ingredients to taste and hey, presto! You'll need one bread roll per person. Cut a "lid" out of the top and press the bread inside to make a hollow cavity. Prepare your pizza fillings. We used chopped baby spinach, diced fresh Roma tomato, shredded cheese, sliced green olives and some shredded ham. Layer the fillings inside the roll. We like to put a bit of cheese on the bottom and top as well as some through the other ingredients so that it all melts nicely together. Talk with your children about the ingredients while you cook. The different colours, textures and tastes. Where do the ingredients come from and how they are grown/produced? Where would they sit on the healthy living pyramid? Which ingredients should we eat most of and which should we eat in smaller amounts? - Simplify this recipe for younger children by prepping the rolls and chopped ingredients first and providing to your child to stuff with their desired ingredients. - Extend this recipe for older children or those with more advanced kitchen skills by having them cut and hollow the rolls as well as chop and prepare the fillings before stuffing and putting in the oven. When your pizza rolls are stuffed, put the bread roll lid back on top and pop them into a moderate oven until the cheese is melted inside and the outside is brown and crispy. When they are done, cut in half so that they can cool a bit before the kids eat them and serve while still warm. Other suggested ingredients: Pizza sauce, mushrooms, fresh herbs, feta cheese, roast pumpkin, kalamata olives, salami, roast chicken, smoked chicken, sun-dried tomatoes, etc. Cut the top out of a bread roll and hollow out. Fill with your chosen ingredients. Stuff them in really well until it's completely full. Pop the top of the bread roll back on and then into the oven for 10-15 minutes* or until the cheese has melted inside and the roll is crispy and browned on the outside. *As all ovens are a bit different, keep an eye on your stuffed pizza rolls and cook for shorter or longer as needed. My baby is now 3 years old and this year is attending a 3 year-old preschool group, twice a week for 2.5 hour sessions (total of 5 hours per week). He is just loving the socialisation, play-based curriculum and the fact that it's practically like being at home, but instead of one activity at a time, he can race around from activity to activity doing whatever tickles his fancy at the time. It's no surprise that in a 2.5 hour session he finds the time to do rice play, painting, playdough, water-play, building, sand play, reading, pretend-play, cutting & pasting and a whole lot more! One of the things that is important for him now that he is playing and learning independently outside of the house, is being able to recognise his own name. Each child at preschool has their own locker to put their bag and each has their name on it. As most children this age are pre-literate, they also include a photo of each child next to their name so that they can make the connection between their own face and the combination of letters that makes up their name. He also has things like drink bottles and hats that are now labeled with his name, so there is a lot of chance for exposure and it's something that he needs to be able to recognise. Learning to recognise, read and write your own name is predominantly a matter of being exposed to it and having experiences with it, a number of times. Children are all different when it comes to how quickly they are able to learn something. Some children are able to have very few experiences with their name before they are able to recognise it for the word that it is, and some children will need to be exposed to it hundreds of times before they are able to have consolidated the learning. Most children sit somewhere in the middle of a bell curve graph of learning abilities and will pick up some things quicker or slower than others. We're all individuals. So, in order to learn our name, we need to be exposed to it and have experiences with it. 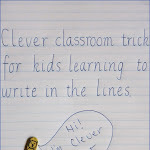 There are tons and tons of different ways that you can get children writing, reading and playing with their name. Here is one simple activity.